In my effort to whine less about winter, I am instead going to talk more about spring. Spring! Yay spring! Where are you – I love you so! Actually I can’t be too upset this week – it’s been sunny and above freezing, which I will take any day in February. It’s also a great reason to start dragging out my spring content. It might be a teensy bit early, but I think we’re all pretty happy to think that spring is only about a month away. Yay Spring! (I said that already, didn’t I?) 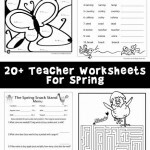 Get your students happy and excited about spring with these new spring mad libs. 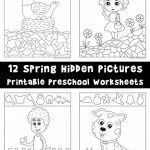 They will have fun creating stories about getting outside, planting a garden, and spring animals. 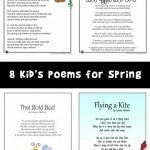 So today I bring you these spring mad libs, and also these spring kids poems. Spring Mad Libs – Bicycle Riding! Spring Mad Libs – A Trip to the Park! Spring Mad Libs – Spring Garden!